Dear Parents and Guardians, Welcome to the 2018/2019 school year. We are very excited to be working with your child this year. We are looking forward to a great start to the year getting to know each other, building teamwork skills and learning. 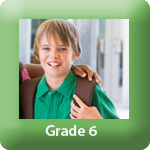 Grade 6 is a time of exploration, growth and building their capacity to take responsibility for their choices. We look forward in guiding them on their journey, building their self confidence and discovering more about themselves, who they are and what they have to offer to the world.